Home Microsoft Excel Why is Excel Showing My Formulas Instead of Their Results? Have you created a spreadsheet that contains formulas? And was everything looking how you would expect, with your formula results in their cells, but now you are seeing the formulas instead? This happens because of a setting that may have been changed inadvertently which causes Excel to display the formulas themselves, rather than their results. Luckily you are able to simply change that setting back and start viewing your formula results again. 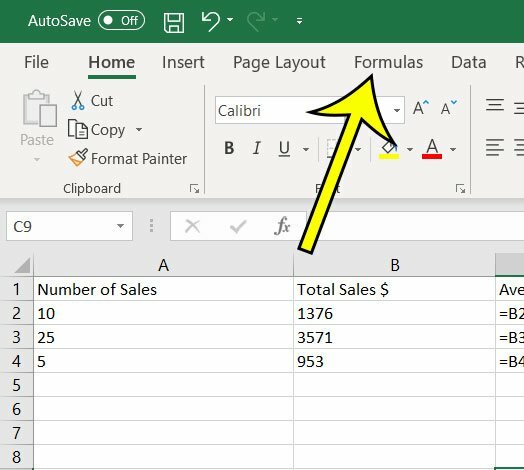 The steps in this article were performed in Microsoft Excel 365, but will work in earlier versions of Excel as well. Step 1: Open your spreadsheet that is currently displaying formulas instead of results. Step 3: Click the Show Formulas button in the Formula Auditing section of the ribbon. Do you have a spreadsheet that contains a lot of formulas, and every time you update something it takes a long time for those formulas to adjust? 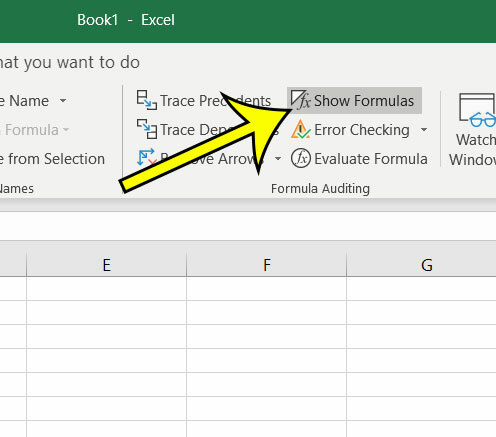 Find out how to disable formula updates in Excel so that you can work on your data without having to wait every time you make a change.